Who doesn't know the spinach? Almost all people around the world know this one vegetable. But, just little who know the health benefit of spinach. Are you one of them? Spinach or Amaranthus SPP is a green or red leafy vegetables. Spinach is soft and can be consumed. 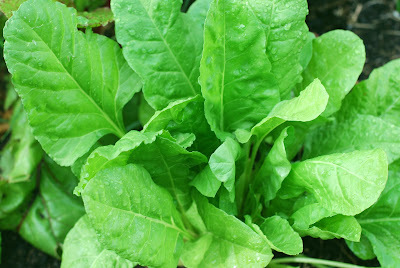 Spinach has a round shape of leaves and stems long enough. The popular varieties of spinach are green spinach and red spinach. Spinach is a type of vegetable that scientists recommend because it has high iron. There are lots of health benefit of spinach if we are consuming this vegetable regularly. Spinach is famous for its high iron substance. Therefore, spinach is great for the formation of red blood cells in the body. Through enough spinach, intake can help the body form an immune system. However, spinach has a relatively high purine content and can lead to increased uric acid in the joints. It is recommended for people with uric acid to reduce intake of spinach. Based on these, the spinach becomes one of the most nutritious foods and the amazing benefits of spinach for your health. The spinach health benefits give us the sign that there's no God's creation in vain, include the plants. Here some health benefit of spinach summarizes for you. Why can spinach against the cancer cells? This is because the cancer cells can be minimized by the substance content of spinach such as fibre, folic acid, vitamin A and C. By consuming spinach it can reduce the 34% risk of some types of cancer. Including the breast, cervical, skin, and stomach cancer. Another advantage consuming spinach is low sodium and high potassium. The equal mineral level and folate that contained in spinach is useful for people who have the high blood pressure and relaxing blood vessels. So, the flow of blood system becomes stable. The next health benefit of spinach can prevent diabetes. After diabetes, the people will found complications illness. To prevent that, consuming spinach regularly will help stabilize blood sugar contain from fluctuating process. It is because of the spinach containing the magnesium substance which can decrease the sugar level in the body. The high levels of homocysteine ​​in the blood can cause heart disease. To prevent them, you can begin with consuming spinach regularly which containing the folate to reduce this homocysteine. The hardening of blood vessels also can prevent using spinach, because it has the choline and inositol inside. The spinach benefits for skin is contained high vitamin A. Vitamin A is important for skin because it keeping the skin moisturize and makes the skin brighten up. You can see the change of your skin before and after consuming this vegetable. So it beneficial for your skin. Besides that spinach also contain the calcium to strengthen all the bones in the body. These all the health benefit of spinach. Remember! It is also important to doing exercises regularly to stay your healthy. Don't rely on the food intake itself. Stay your health, stay alive!